Oh how we love the Lower East Side of Manhattan! This is the area to go in New York City when looking for cozy cafes, restaurants, hip hangouts and cute little coffee places. 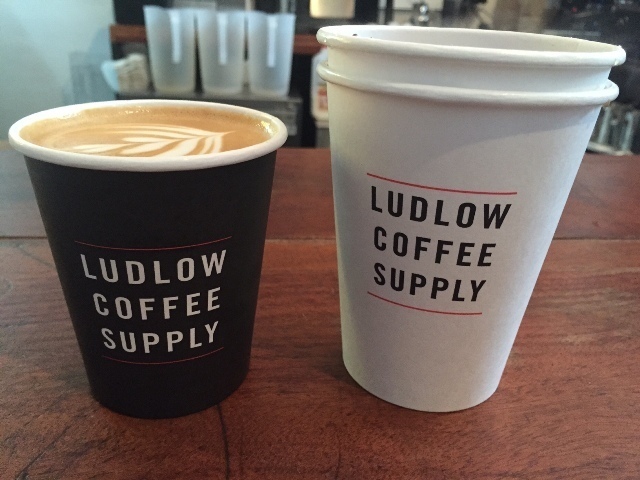 Such as the Ludlow Coffee Supply. Their cappucino tasted great! As did the homemade strawberry poptart! 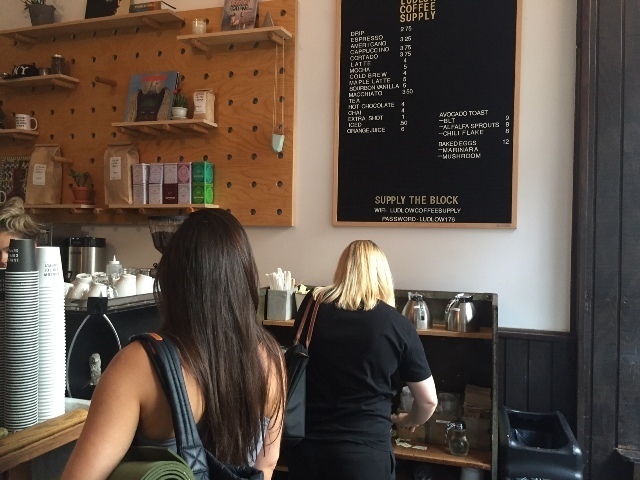 Maple lattes are their signature drink and next to poptarts they serve pastries, different kinds of toast and eggs. The Ludlow Barber Supply moved out and comfortable seats took their place. 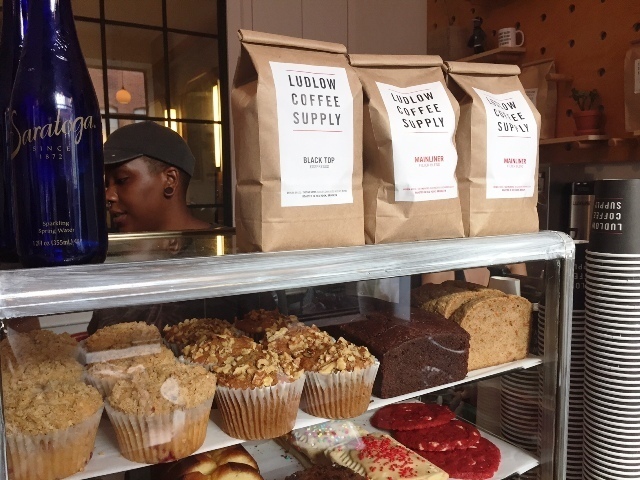 Ludlow Coffee Supply is a typical neighborhood coffee spot where you can catch people getting a coffee-to-go on their way to work, back from their yoga class or just in desperate need of caffeine. It's a cool little place with high windows and an urban vibe. The interior is no-thrills-which-we-like. Check it out! We went to the Manhattan one on Ludlow Street. It's right across from the Indigo Hotel (which by the way is home of rooftop bar Mr. Purple from where you can get an awesome view on the Empire State while taking a dip in the pool. Weather permitting ofcourse) and open from 7 am to 11 pm. 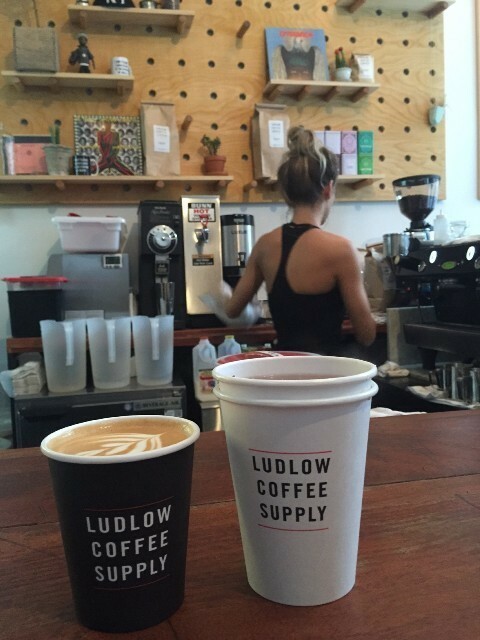 There's also a Ludlow Coffee Supply in Brooklyn, on 178 N8th Street.